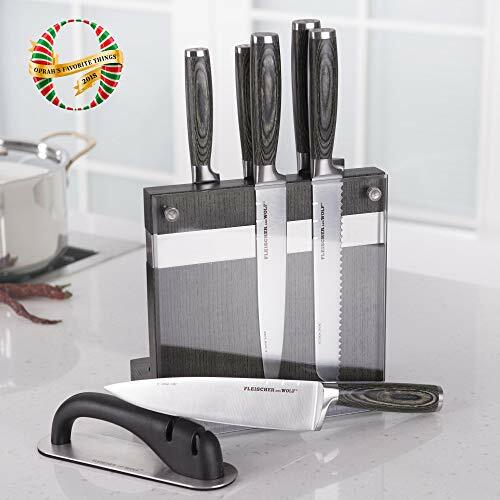 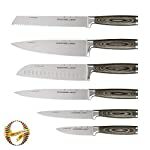 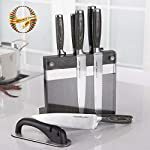 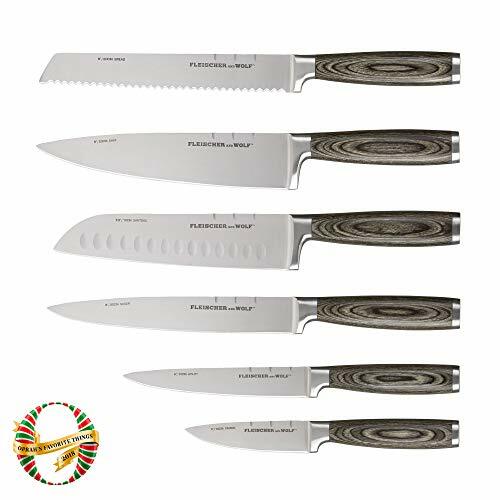 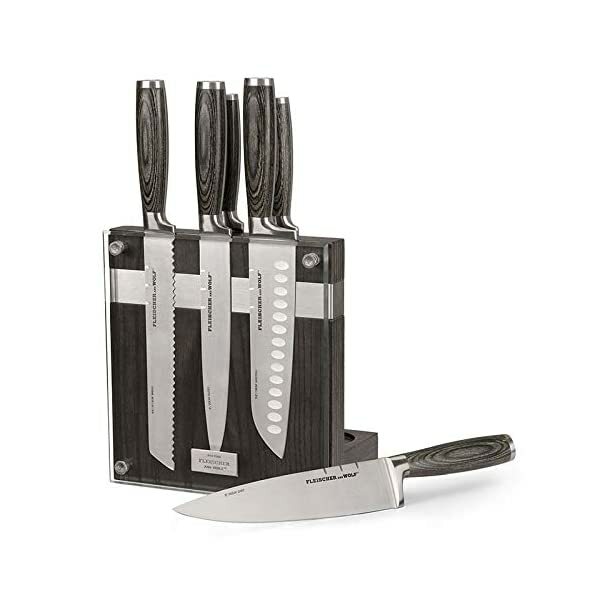 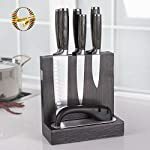 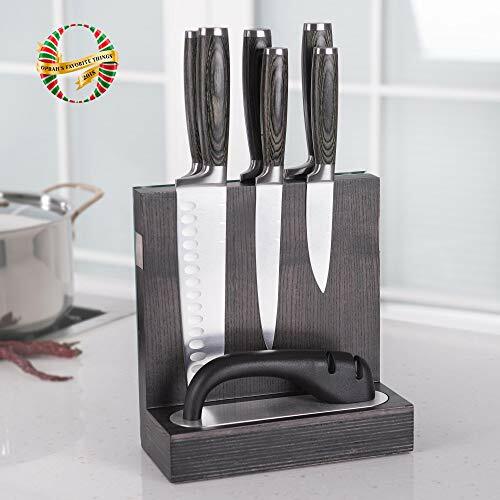 8-Piece Kitchen Knife Set Includes: 8″Bread，8″Chef，8″Slicer，7.5″Santoku，6″Utility，4″Paring, 2-Stage Sharpener- ss base and Portland Ash Block. 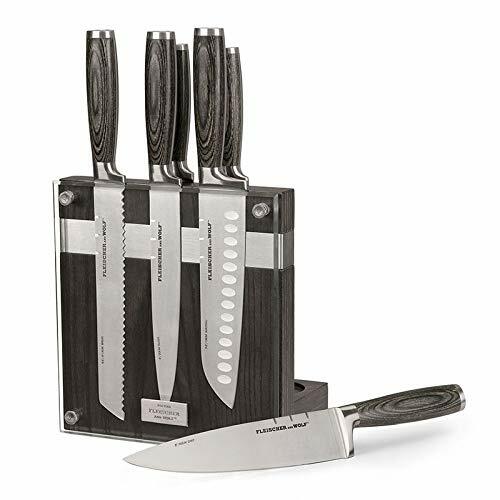 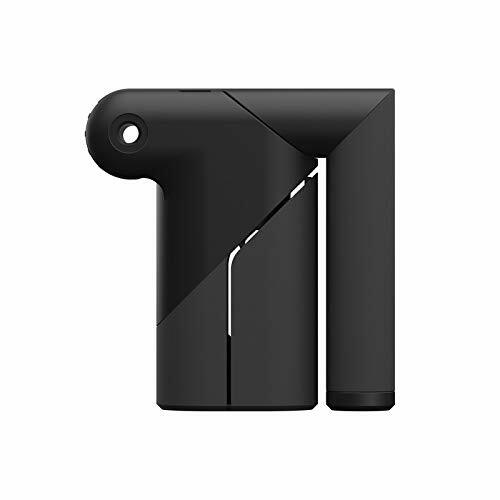 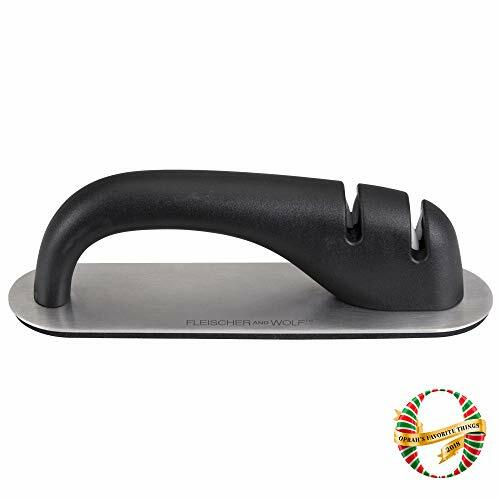 The knives are made with the highest grade German stainless surgical steel, which makes them ultra-sharp and helps keep their sharp edge longer. 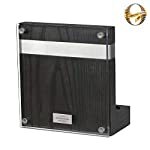 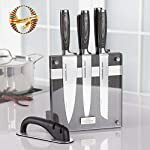 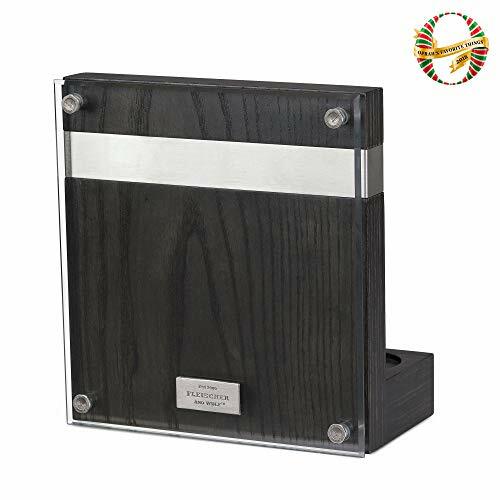 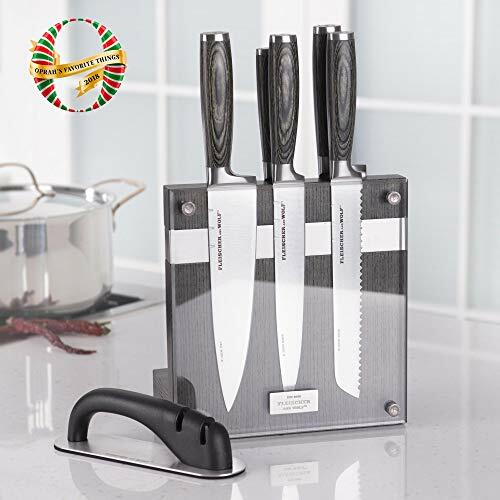 The unique magnetic knife block holds your knives in a free form, easy to grab and store way, with a beveled glass protector for safety and space saving knife storage.